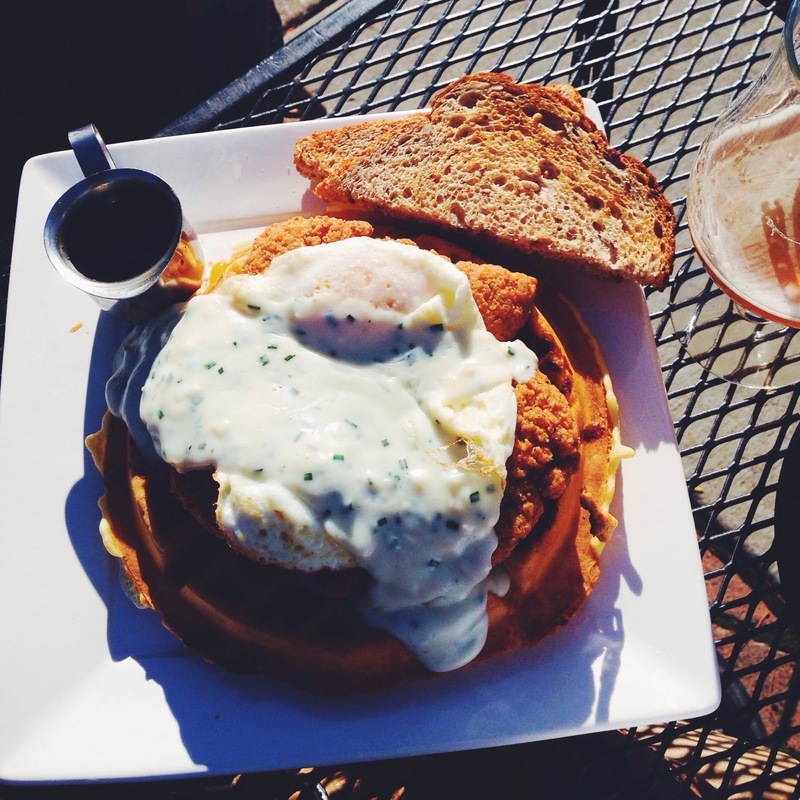 My husband ordered a serious lunch the other day: fried chicken on cheddar & jalapeño waffles with two fried eggs on top, smothered in gravy, served with a side of maple syrup. It was as much of a mouthful as it was just writing out the description. Needless to say, it was damn good.